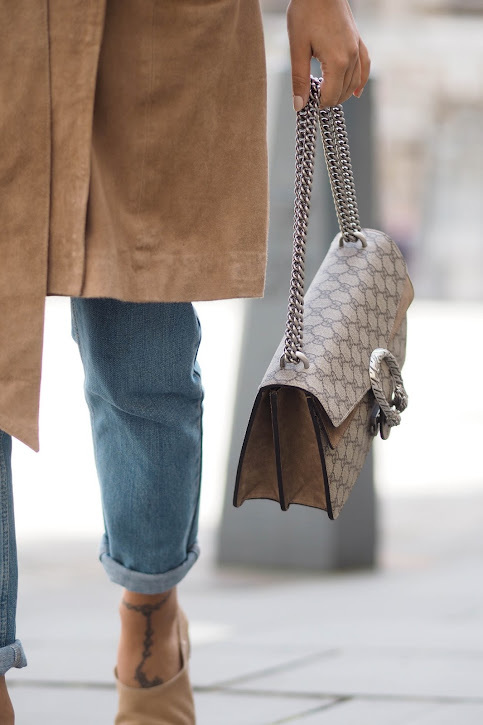 Paying out that little bit extra to invest in the real deal is something I like to do from time to time, but don't get me wrong, I have faux suede options a plenty-which are perfect for chucking on and wearing day to day. 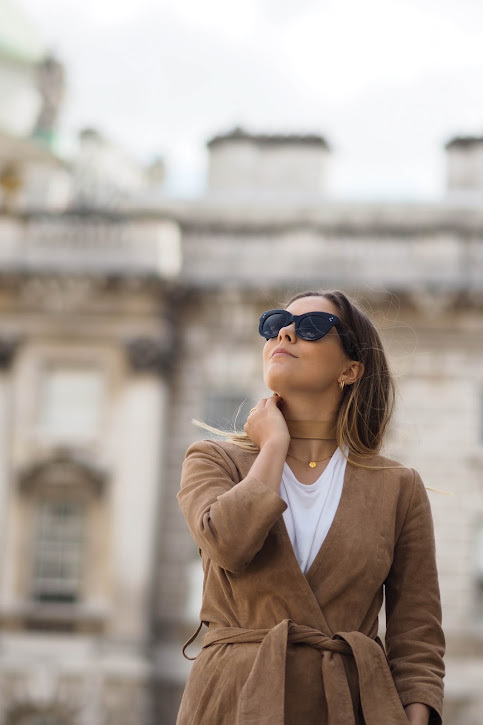 (See how I've styled the £40 high street faux suede option here.) Gone are the days of wrapping up in oversized coats and winter jackets, instead I've been living in leather jackets as of late (this one in particular) so having a break from my leathers is always needed. Similar to styling faux suede I'd advise keeping it simple and going down the denim route-it's a classic. I've been living in these mid blue mom jeans since I purchased them a few weeks back, the fit is just incredible. 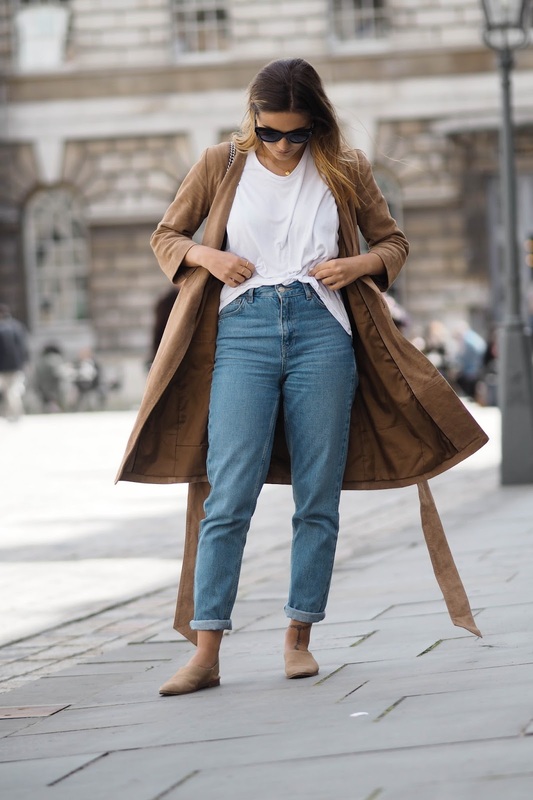 I know I know, the mom jean isn't some new find I've just come across I know the fit has been around for years now but this fit in particular are a key player in my denim wardrobe. The plain white tee is of course a classic basic we all own, so if it were the real suede option you were looking to splurge on you know that you can rely on your basic's to style with.. until your next payday at least! What a super cool combo! Perfect inspo! Love the coat - and the shots are beautiful!